Looking for things to do in Kalispell, Montana? 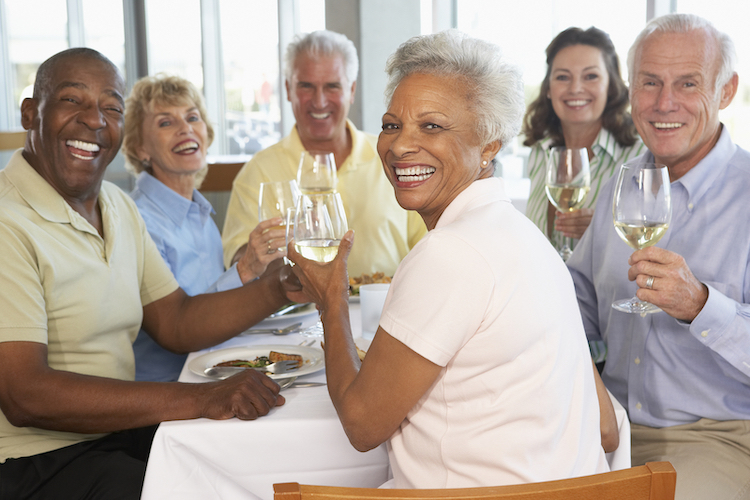 Wineries are a great springtime and warm weather activity for seniors to enjoy. Many locations offer walking tours of their facilities, which means that not only do you get some exercise, but you also get to learn more about the wine industry and how your favorite spirits are produced. If you enjoy a glass of vino from time to time, add visiting a Kalispell winery to your agenda this spring. Especially here in Montana, wineries tend to have their own unique flare, offering delicious selections, fun wine tastings and live entertainment. Keep reading to discover three local wineries near Kalispell for you to explore! Glacier Sun Winery is a popular destination in Kalispell. Founded in 2011, Glacier Sun Winery is becoming well-known for its flavored ciders and wine choices – their Huckleberry Peach wine is a popular selection. This award-winning winery uses Montana-grown fruits to create their rotating selection of fruit wines. In addition to wine, you can also purchase fresh fruits and vegetables at Glacier Sun Winery because it’s part of the Apple Barrel Country Market, where you can find fresh produce from across the country. Their tasting room is open Wednesday – Saturday year-round, and you can enjoy live music and entertainment on the weekends. During the summer, you can sit on their pleasant patio, taking in the gorgeous views as you sip from your glass. Located just two miles east of downtown Kalispell in the former Glacier Art Gallery, Tailing Loop Winery offers wines produced from reputable and well-established family vineyards located in the Pacific Northwest, including critically-acclaimed vineyards and cellars in the states of Washington & Oregon. Live musical performances are a staple at Tailing Loop Winery every Friday and Saturday night. Their tasting room is open Wednesday – Sunday. When the weather is warm, additional concerts are held on their patio, or in their event center. Their wine menu features a variety of red and whites from all branches of the wine spectrum for your enjoyment. Did you know that Mission Mountain Winery is the oldest winery in the state of Montana? Located on the West Shore of Flathead Lake, Mission Mountain Winery offers exquisite, internationally award-winning wines and produces approximately 6,500 cases of wine each year. They grow pinot noir and pinot gris grapes along the shores of the lake, as well as small amounts of Riesling, Chardonnay and Gewurztraminer grapes. The tasting room at Mission Mountain Winery is open from May 1 – October 31 each year, seven days a week. Although reservations are not required, they are available. At Immanuel Lutheran Communities, our residents enjoy a variety of senior living options, the right level of care, and the lifestyle they crave. From walking tours in the Flathead Valley to activities for the entire family to enjoy, there’s always things to do in Kalispell, Montana! Contact us today to learn more about our active senior living community, or to schedule your personal tour.